Now that the hustle and bustle of the holidays are over and football season is winding down, Steve and I are going to get back on track with our weekly date nights. As much as I love getting dressed up and going out on the town, I really love just staying at home and spending quality time with him. Let's face it, babysitters are expensive and maybe you don't have family and friends in town who can pitch-in to help watch the kids so that you and your honey can enjoy a night out. Or maybe a night out at a restaurant just isn't in the budget right now. If this is the case, then an at home date night is the perfect solution. One of the great benefits that we didn't anticipate when we built the pool house, is that it would give us a space away from the house to hang out together. Luckily our kids are a little older, so we can set them up with a movie and dinner in the house and scoot across the yard for our date night. The pool house is a perfect set-up for date night because the couch out there is so comfortable. It is deep and long enough that both Steve and I can snuggle up on it and still be comfortable, which is no easy task may I add. I know I say this all the time, but if you are in the market for new outdoor furniture you have to check out Summer Classics. We LOVE all of our stuff from them! We have a TV and fireplace out there too, so we can watch a movie or binge watch one of our favorite shows together if we feel like it. 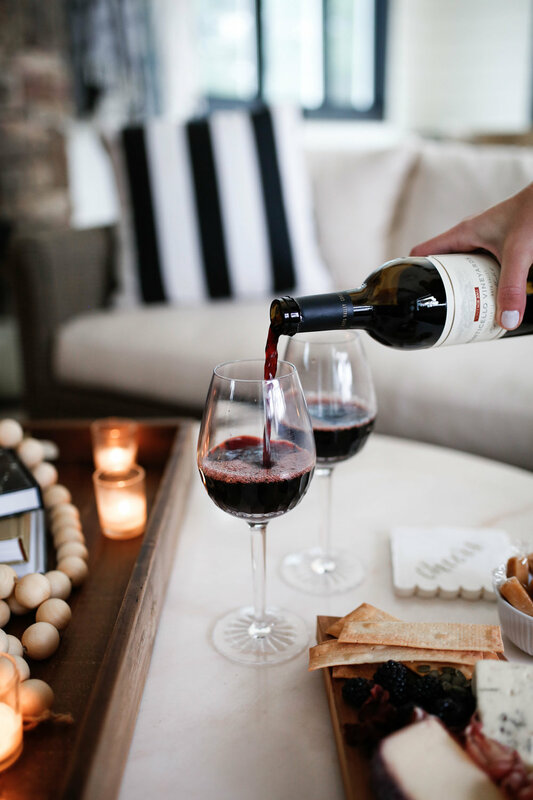 Obviously not everyone has the luxury of a separate space in their house to get away from the kids, or kids that are old enough to self-entertain, but that doesn't mean you have to give up on the idea of an at-home date night. I want to share some tips that you can use to set-up a perfect date night regardless of the age of your kids. When Lily and Luke were younger, and I knew that Steve and I were going to have a stay-in date night I would typically let them skip a nap during the day. As we mom's know, while skipped naps can make the afternoon and early evening a beast they usually lead to early bed times. An early bedtime for the babes is a must if you want to do an date night and not fall asleep in the middle of it. Because I knew the afternoons and dinner time were going to be dicey at best, I would usually "bribe" them with a dinner that I knew they would love. What kid can't be good for boxed macaroni and cheese and chicken nuggets. Steve and I love to cook, so that is typically something we can do together for date nights. In fact, Steve is such a great cook and loves it so much that he will sometimes cook the entire meal and I just get to sit and chat with him and drink wine. However, if cooking isn't your jam then do something simple like a frozen pizza and call it a night. The key is that you are spending time together. Another thing we love to do if we don't want to go through the whole process of cooking a meal is to put together a cheese plate or some easy appetizers and just snack on those over a nice bottle of wine. The key is that you want to take this time to really just focus on each other. I know this is obvious, but put away the phones. When Steve and I do at-home date nights, I typically don't even take my phone so that I am not even tempted by the thought of it. As I mentioned, sometimes we will use a date night to binge watch some of our favorite shows, but even if we do that we always spend at least 30 minutes to an hour just talking and catching up before we watch TV. Another thing that we really try to do is not just talk about the kids or work. If there are issues or things we want to talk about related to those two topics, we definitely will, but we try to focus just on each other and what is going on in our lives. This can be really hard, especially when kids and work are two such enormous parts of all of our lives. To help you guys along in really digging into a conversation with your hubby, I have created a list of 10 questions to ask your spouse on your next date night. Hopefully one or two of these will be interesting to you and can spark a conversation maybe you haven't had with your spouse before. If we won the lottery, what would we do with the money? This is a fun one because you can pick different amounts that you might win and see how that changes what your spouse might want to do. It also is a great conversation starter about financial goals and desires. Where do you see our family/us in 5, 10, 20 years, etc? This is another great one because it opens the door to talk about future goals, retirement plans, what you both want when the kids leave the house etc. What is something that you did with your family when you were a kid that you wish that we did with our family? Great conversation starter to talking about priorities as a family and creating traditions for your own family. What is the one thing that surprises you most about being an adult? I think we all have fantasy's when we are little about what it would be like to be an adult and it would be fun to know what of those have lived up to or been a surprise from our childhood fantasy's. If you could take a vacation anywhere in the world, with money being no object, where would you go an why? If you could go back in time, or fast forward time, what is one age you would like to be? If money were no object, and you could change your career to be anything, what would you do? I think a lot of us do a job because it makes a good living and provides a secure future for our families. Both very honorable and important things, but it is fun to think about what you would do if those things were not a consideration. A good way to dig deep and think about true passions. What is a hobby that you wish you had time to pick up? When did you know that you wanted to marry me? This is such a fun way to really relive those dating years and think about those early romantic feelings you had for each other. Sometimes some of that romance and excitement that you used to experience in the beginning gets swept aside in the hustle of day to day life. What is the biggest memory that sticks out to you from our wedding day? Remember the key to a date night is being able to reconnect with your spouse. Don't put too much pressure to make it perfect. 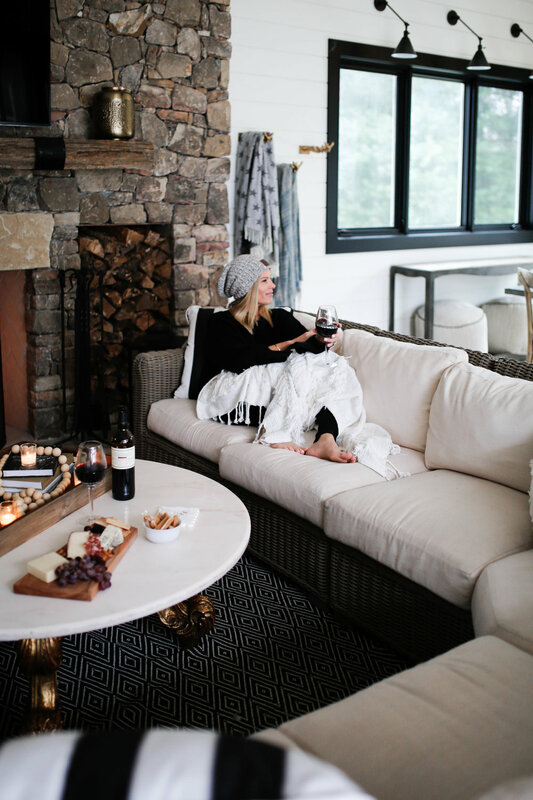 Light some candles, pour some wine, and snuggle up to the one that you love. I promise you won't regret it.